After construction the cost would be divided among the property owners. This is normally done by dividing the total project cost, dividing by the total Grand List Value for all affected properties. By State Statue, the project required approvals of the Board of Selectman AND the Planning Commission. These approvals were granted November 2013 by each town board. The project then awaited the green light from the Rollingwood Association before proceeding. 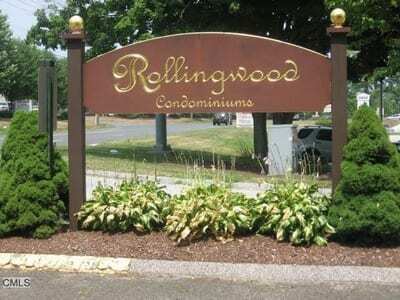 On behalf of the Rollingwood Association Board of Directors, thank you for attending the Wednesday meeting. Your presentation was very informative (and well done!!). As we discussed, after you let, the Board voted unanimously to approve moving forward with the gravity system. I’ll ask Association Attorney to notify the WPCA Attorney. Thanks again. The next step was to negotiate the required easements. This is took years. The engineering was completed in 2016 for a final cost estimate considering any Wetlands Commission requirements and the amount of rock found in the sewer line path. Finally, the Authority held an informational public hearing on the project to review the final path and cost estimates before going out to bid. October 2017 the bid documents were prepared and out to contractors. The was awarded to the lowest qualified bidder mid-November, the construction started in December. The system is now operational with final landscaping completed May, 2018. Question: What is the project cost estimate and what will be the impact on my unit? Question: Do I have to pay for this all at once? Response: The WPCA will obtain a loan or floating a bond to cover the cost for a period of 10-years. That program will require interest payments on the unpaid balance on each assessed unit. Any owner can pay the entire assessment at once. If the 10-year installment plan is selected by the owner, a lien is placed on your property on the Land Records until it is paid off, at which time the lien is released. In that case, the next owner picks up the payments if the property is sold before the last scheduled payment in June 2027. See more Q&A on Benefit Assessments for the Whisconier Area Sewer District, also known as the Three Condo Project.